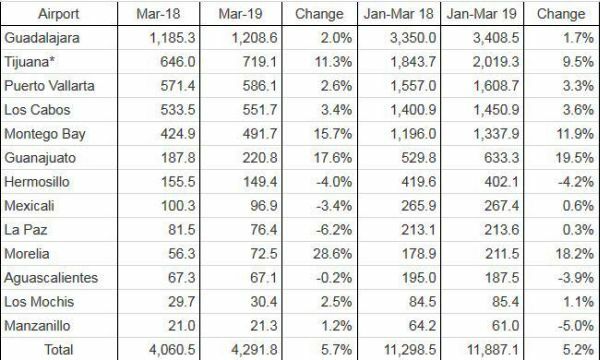 During March 2019, total terminal passengers increased by 5.7 percent at GAP's 13 airports, compared to the same period of 2018. 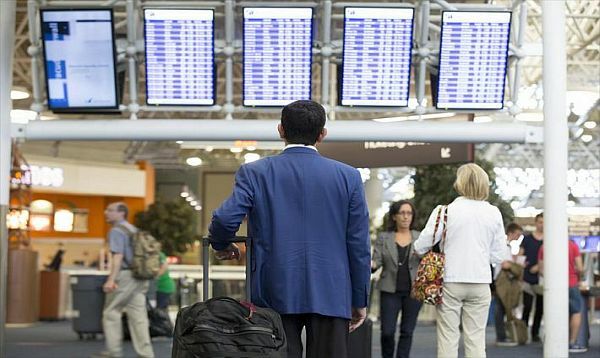 Domestic traffic increased by 3.9 percent, while international traffic increased by 7.8 percent. Guadalajara, Mexico - Grupo Aeroportuario del Pacifico, S.A.B. 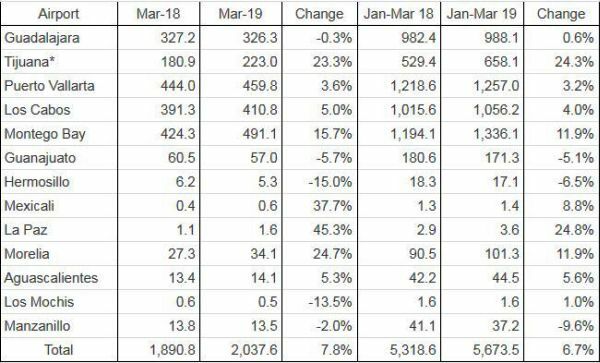 de C.V. ("GAP") announced preliminary terminal passenger traffic figures for the month of March 2019, compared to traffic figures for March 2018. 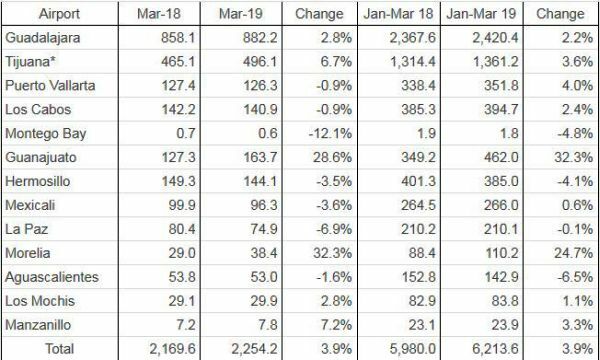 Seats and Load Factors: In March 2019, GAP registered a 0.9% increase in the number of seats available compared to March 2018; while load factors for the month increased by 390 basis points, from 81.4% in March 2018 to 85.3% in March 2019. Grupo Aeroportuario del Pacífico, S.A.B. de C.V. (GAP) operates 12 airports throughout Mexico's Pacific region, including the major cities of Guadalajara and Tijuana, the four tourist destinations of Puerto Vallarta, Los Cabos, La Paz and Manzanillo, and six other mid-sized cities: Hermosillo, Guanajuato, Morelia, Aguascalientes, Mexicali and Los Mochis. 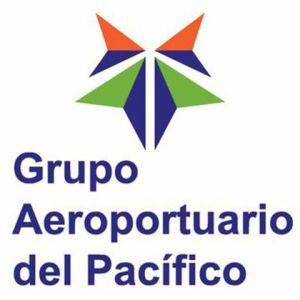 In April 2015 GAP acquired 100% of Desarrollo de Concesiones Aeroportuarias, S.L., which owns a majority stake of MJ Airports Limited, a company operating the Sangster International Airport in Montego Bay, Jamaica. Then, in September 2018, GAP won the bid "to operate, modernize and expand" the Norman Manley International Airport in Kingston, Jamaica.